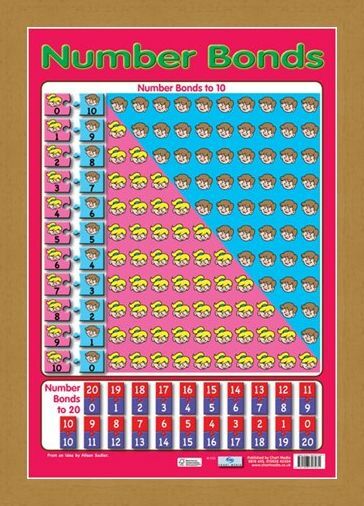 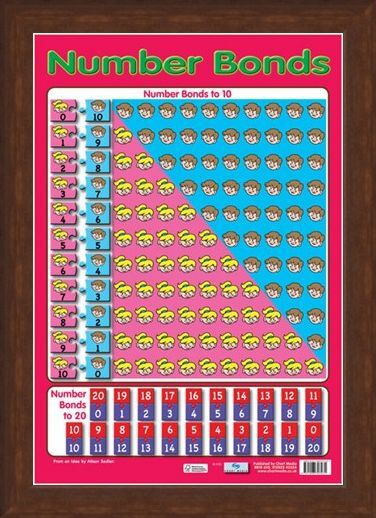 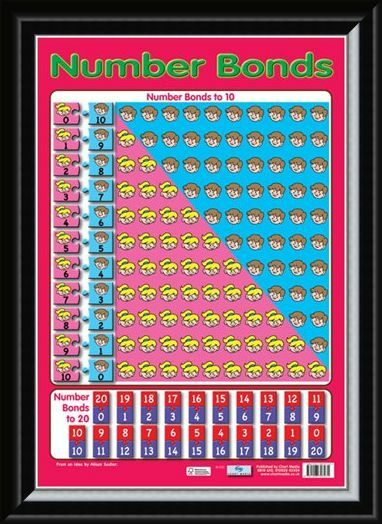 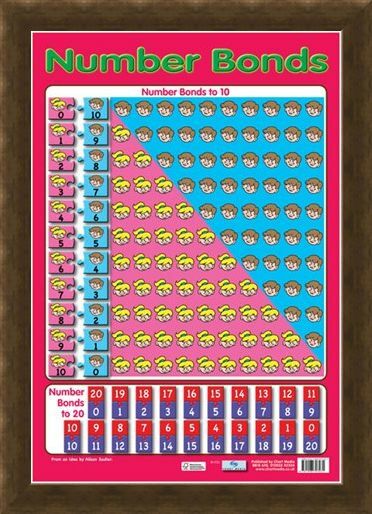 Number Bonds 1 to 10 Mini Poster: This educational poster is a great start for children starting to learn simple maths whether at home or at school. 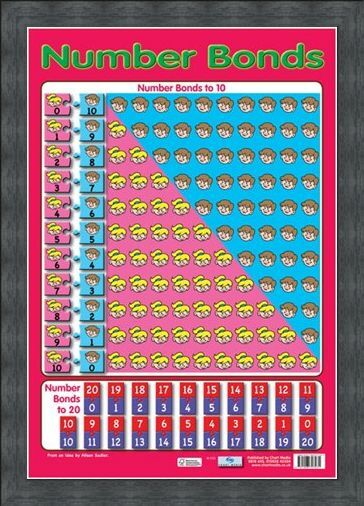 It's colourful layout and illustrations makes number bonds simple for any child to understand as well as have fun whilst learning. 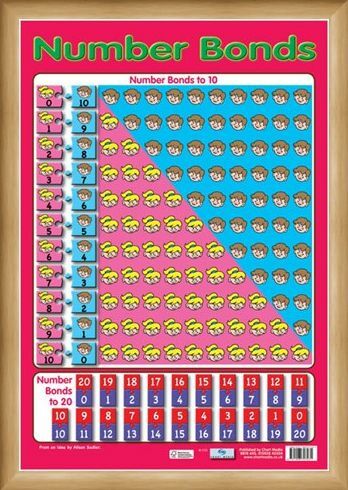 Number bonding has been introduced into education as a simpler way for children to learn addition. 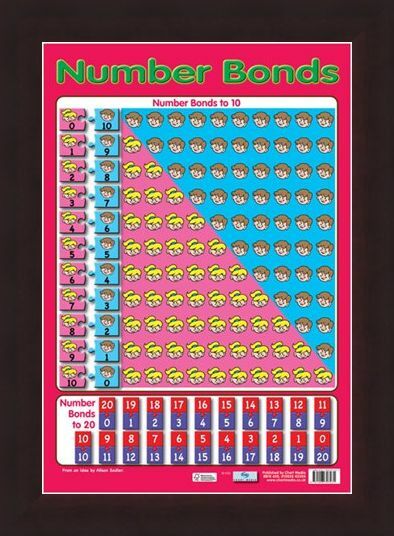 It is about making a pair of numbers which make a bigger number. 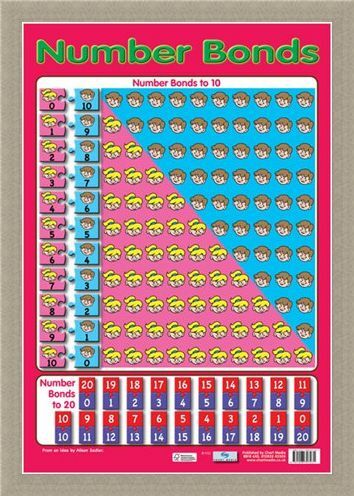 Such as 3+2 would be the bonding pair for 5. 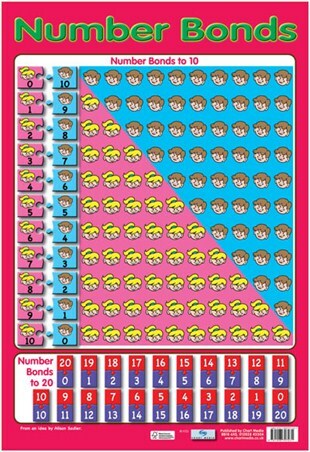 Once your child knows bonding pairs up to 10, addition and subtraction will come easily and this poster also contains bonding numbers from 1 to 20 to give them that extra boost. 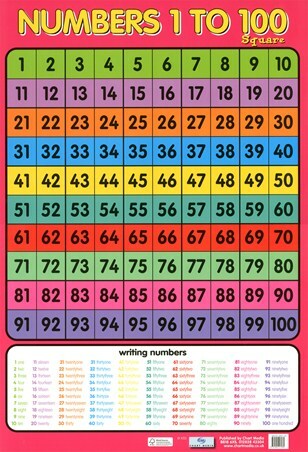 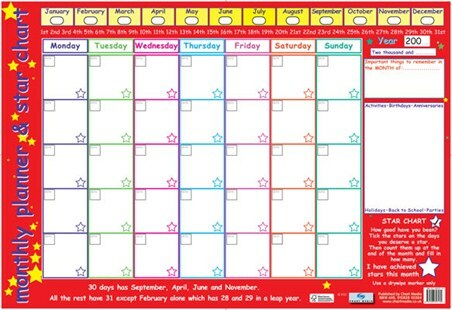 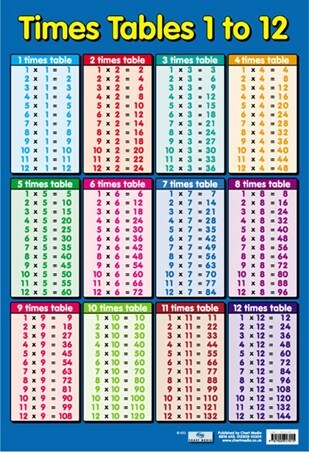 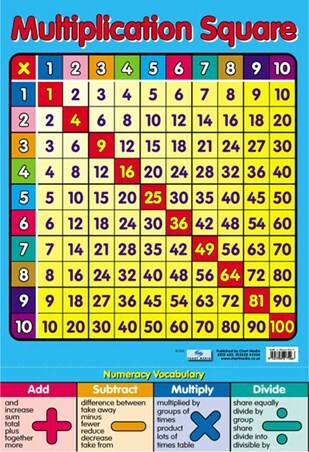 This colourful chart will have your child bonding with numbers in no time. 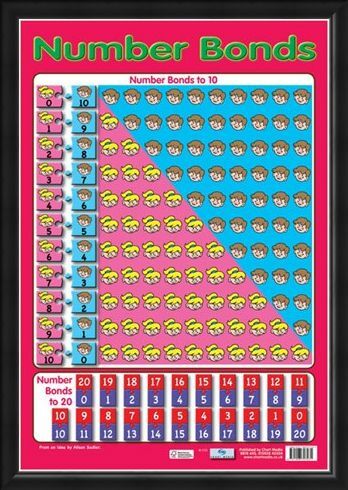 High quality, framed Number Bonds, Educational Children's Chart mini poster with a bespoke frame by our custom framing service.